Today I'm honored and totally thrilled to have my post “Bulletproof Business Practices for Introverts & People Pleasers” featured on the Rising Tide Society's blog! They're such an empowering group of creatives, who share my value of community over competition. I'm so thankful that my content resonates with them (and this isn't the first time either! ), but most of all, I hope that this helps spread my posts so they can help more people. Many of the folks that sign up for my newsletter say that they're struggling with building a strong, consistent brand and extending their reach. Aligning yourself with another brand that supports the same values is a great way to help grow your following in an intentional way and find more of your people. The best way to build relationships with other brands is first to show your support without expecting anything in return. How can you align yourself with another brand? Share their content and tag them - This is a great way to show support, get on their radar, and maybe even get a retweet or mention from them! Share their products or services - This could be an Instagram post or tweet, but write what you love about their brand and be sure to tag them! You can even use their hashtag if it's relevant. This will also give you visibility among their audience and connect you to more like-minded folks by association. Contribute content - If they take blog submissions, you can submit an article (or a few) that would be relevant to their audience. This allows them to share more valuable content while exposing you and your helpful posts to their followers. Reach out - Contact them directly to let them know that you love what they're about, and depending on the size of the brand you may even find an opportunity to collaborate. Notice the emphasis on giving and sharing here. The best way to build relationships with other brands is first to show your support without expecting anything in return. You can go above and beyond and do a little bit of everything I mentioned, which I try to do whenever I can for the brands I love. Being a brand ambassador for these brands aligns you with them (in your audience's minds and maybe even theirs), and for small businesses this can get you noticed in a big way. 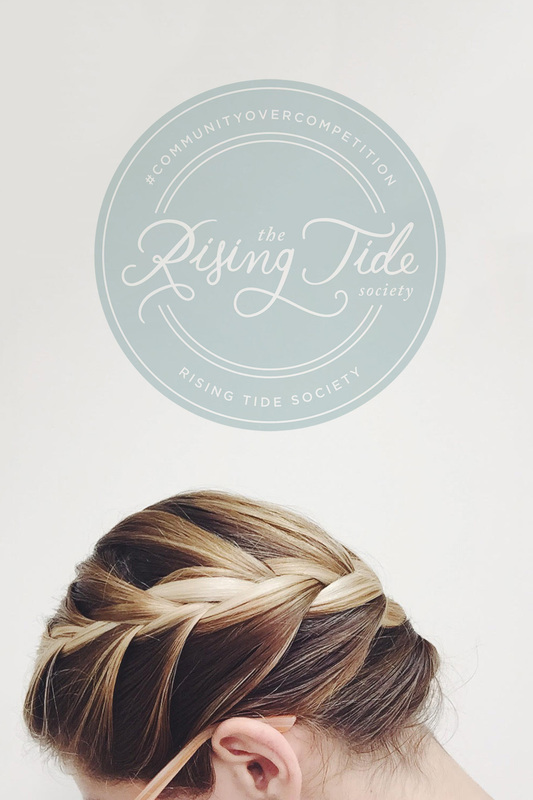 I love sharing content from the Rising Tide Society, contributing relevant posts, participating in their challenges, and sharing the love with them whenever I can. They have one more brand ambassador, and this connection helps show my audience and theirs what I value while spreading content that can help them along their journey. This way, everyone wins!